The 7th Territorial Legislature included the first Alaska Native to serve in Alaska. In addition to serving in the House of Representatives, William L. Paul, a Tlingit, was an attorney, a noted orator, and a spokesman for Native rights and territorial politics, among other causes. The Legislature passed legislation requiring that voters in territorial elections be able to read and write the English language. An individual wanting to vote in an election had to sign his or her full name, and identify both gender and address in the poll book. Should an election official deem that the person appeared unable to read or write, the individual would be required to read out loud and legibly write a passage from the U.S. Constitution. Other states had passed similar legislation and many considered such measures discriminatory and unfair to indigenous people and/or individuals without formal education. Provided for the imposition of fines on individuals who damage woods, brush, grass, grain, or other material being grown on land not belonging to them. Dog musher Gunnar Kaasen arrives in Nome with life-saving diphtheria serum on February 2, 1925. The serum was relayed over 670 miles from Nenana by 20 dog-sled teams racing through record cold and hurricane-force winds. To this day this "race of mercy" is hailed as a great triumph for sled dog teams in the working world. 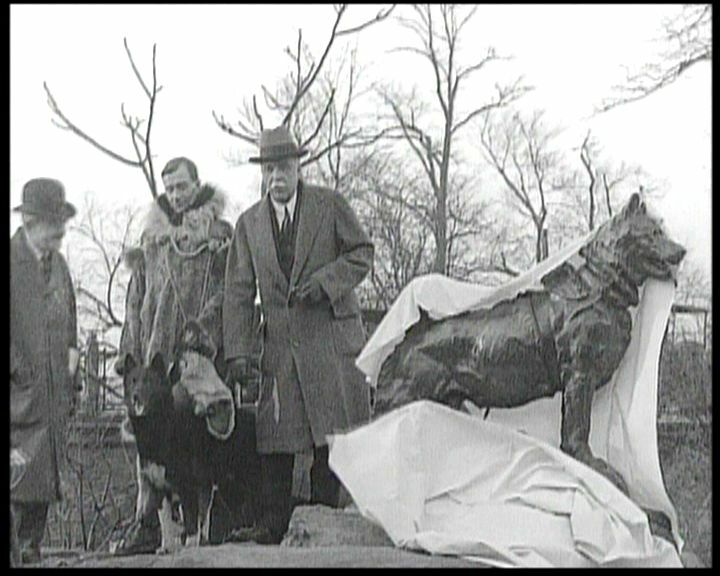 A statue of the sled dog Balto, Gunnar Kaasen's lead dog, is erected in New York City's Central Park (1926). George Parks is appointed Territorial Governor by President Calvin Coolidge (June 15, 1925). Mein Kampf by Adolf Hitler is published (1925). The Scopes Monkey Trial is heard in Tennessee sparking controversy over the teaching of the Theory of Evolution (1925). The federal Native Townsite Act of 1926 provides that villages are to be surveyed into lots, blocks, and streets, and individual lots conveyed to Native adults.